Glo Skin Beauty is a skin nourishing, mineral makeup formulated to enhance and protect even the most sensitive skin. 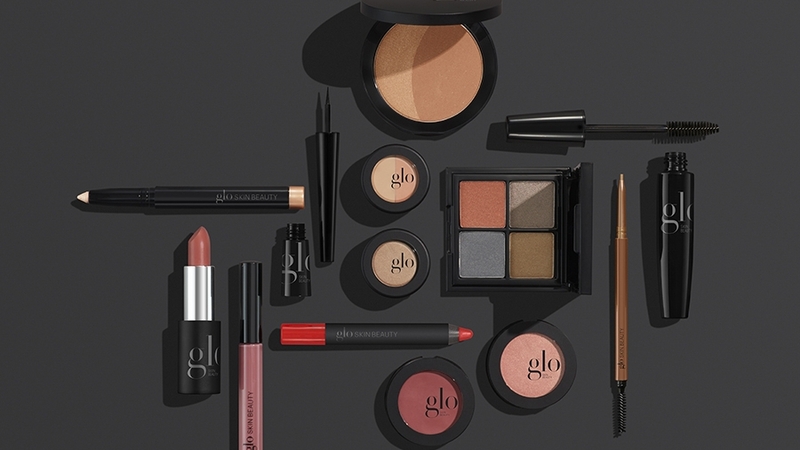 With a variety of formula and finishing options and an amazing shade gallery, Glo Mineral Makeup ensures customized complexion perfection. When you purchase from this makeup line, you are buying coverage that lasts. The ultra-fine minerals used are triple-milled processed to ensure even and continuous coverage that lasts. Each makeup base blend contains Vitamins A, C, E and Green Tea Extract for antioxidant protection. It also offers amazing applications that enhance beauty and don't use talc, which means it is non-comedogenic and won't clog pores. One of the reasons we chose this line is due to it being cruelty free, meaning it has never been tested on animals. In fact, it is PETA approved! Glo Skin Beauty is an extension of your skin care regime with its medical-grade ingredients, but still has a rich colour pallette you will fall in love with.